Internet of Things devices are notoriously insecure and webcams are among the creepiest targets for hacks. 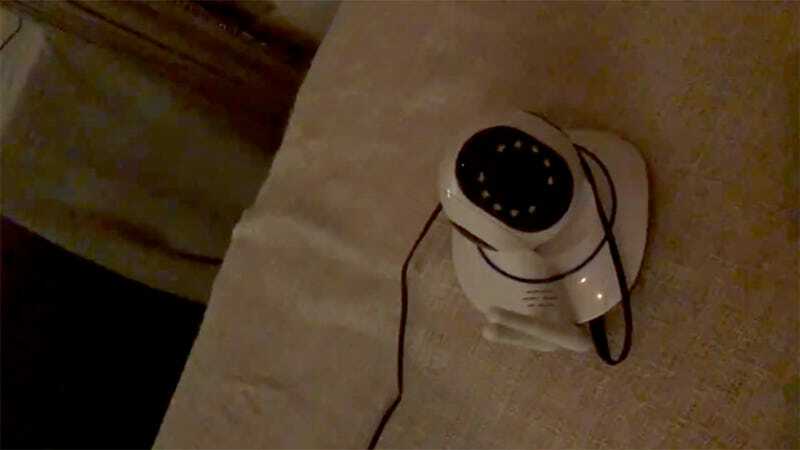 A woman in the Netherlands recently learned just how disturbing these vulnerabilities can be, capturing footage of a home webcam that started tracking her movements and speaking to her in a sinister, unfamiliar voice. In a Facebook post, Rilana Hamer recounted how the real-life horror story unfolded after she bought a webcam on a whim from a Dutch discount store called Action. Hamer thought the device would be good for keeping track of her puppy while she was away from home, but in the end she was the one being watched. According to the Dutch outlet RTL, Action has taken the camera back and a representative told reporters that the manufacturer is investigating the incident. “The question is whether it’s in the camera or in the wrong use of passwords and WiFi connection,” the representative said. They also said that the device been on sale since May and this was the first complaint. Frustratingly, no source has stated who manufactured the device. Gizmodo has reached out to both Hamer and Action, but we have not yet received a reply. We’ll update this post if we do. Regardless of who made it, IoT devices are just generally insecure—and the public isn’t demanding better security. 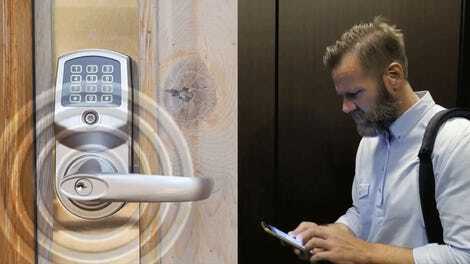 Even top-of-the-line device makers like Google’s Nest have experienced high-profile breaches. Cheap webcams were also named as a culprit in the Mirai botnet attack that took down half the internet last October. Unfortunately, these devices are making all of us less safe. It may be creepy to know that someone is watching you, but being watched and not knowing is even creepier.